From the natural wonders of the Grand Canyon to the neon lights of Las Vegas, this extensive tour of the Canyonlands brings you the best of both worlds in an adventure across the rugged and lush landscape of the American Southwest. 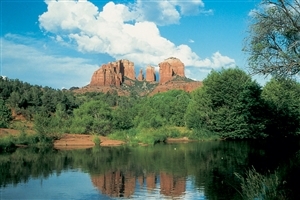 Take a jeep excursion through the scenic lands of Sedona. 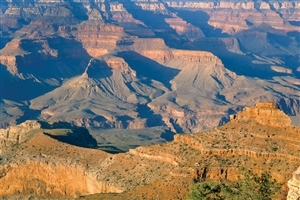 Watch as the sun sets and rises over the colourful, craggy walls of the Grand Canyon. See the mesas, buttes and badlands that fill the Painted Desert landscape. Cruise across the shimmering waters of Lake Powell. Spend a night in the Entertainment Capital of the World, shiny Las Vegas. 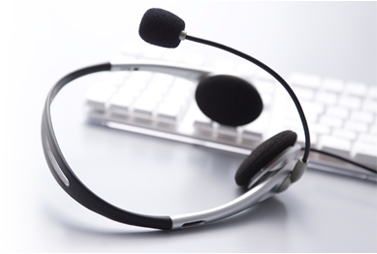 Arrive in Phoenix where you will be transferred to your hotel in Scottsdale. Join your tour director for a Welcome Reception and meet your fellow travellers for an evening dinner. 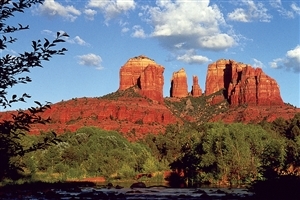 Start off your adventure by travelling north to the bohemian colony of Sedona. 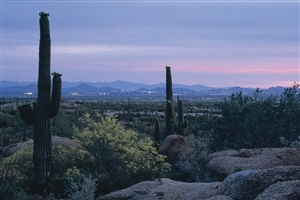 Peruse the shops and galleries or embark on an optional jeep excursion across the scenic landscape. Continue on along one of Arizona’s best drives through Oak Creek Canyon before arriving in Grand Canyon National Park. Spend the evening in the park among the splendour that surrounds you, revelling in the serenity once the crowds have left. Watch as the sun sets across the colourful hues of the canyon walls. A local specialist will inform you of the wonders of the Grand Canyon during your stay, with the evening holding a treat for you as you enjoy dinner in the thunderbird Room as you overlook the stunning Grand Canyon’s South Rim. Get an early start to the day to see the sun rise over the canyon. Alternatively you can take an optional sightseeing tour in a plane or helicopter for views over the gorgeous landscape. Afterwards, proceed to the Historic Cameron Trading Post, featuring Southwest American Indian handicrafts and art. The journey continues on through the Painted Desert, a vibrant wonderland of mesas, badlands, and buttes, on through the Navajo Indian Reservation. Stop at the Glen Canyon Dam to learn about its impact on the Colorado River before arriving at your lakefront accommodation. Take a leisurely cruise on the shimmering Lake Powell and explore the scenic Antelope Canyon with its dramatic sharp, sandstone walls. This evening, enjoy an interpretive presentation about the diverse ecosystem of the Colorado Plateau. The next day is entirely yours to do as you wish. Relax at the resort, or join a guided tour to Monument Valley Navajo Tribal Park. Today you are welcome to join an optional float trip down one of the most beautiful lengths of the Colorado River before progressing on to Bryce Canyon National Park in Southern Utah. Enjoy a casual walk along Sunset Point to view the oddly shaped monoliths known as hoodoos. Spend time at your leisure before checking in at the lodge where, In the evening, join your fellow travellers for a Farewell Dinner. Traverse the lush canyons and cliffs of Zion National Park. Board a Zion Canyon Shuttle with inclusive commentary narrating your journey through the park, followed by some time to explore at your own pace. A complete change of scenery awaits you in the afternoon when you arrive in Las Vegas; the hustle and bustle of a lively city filled with neon lights and the constant buzz of slot machines, the centre of the world for entertainment. 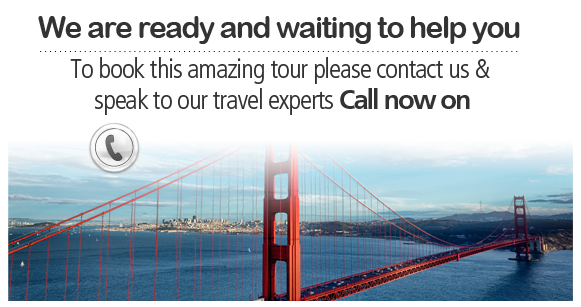 End your tour with a departure to Las Vegas airport for your return flight home. 10 Meals: 6Full Breakfasts,1 Welcome dinner, 1Featured dinner,1 Celebration dinner and 1 three-course tabled hotel dinner.